Any kind of social networking involves sharing your “brand” with the world. You want to present your best image and you want people to recognize your company wherever you are. 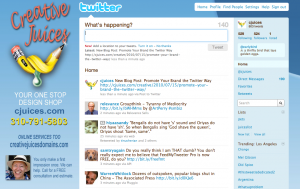 Besides building on your brand, your custom twitter backdrop also allows you to give more contact information on yourself and your company, beyond the 160 characters twitter allows. That’s 20 characters more than an ordinary Twitter post. This is a great opportunity for you to show how professional and creative you really are. And it’s all free. 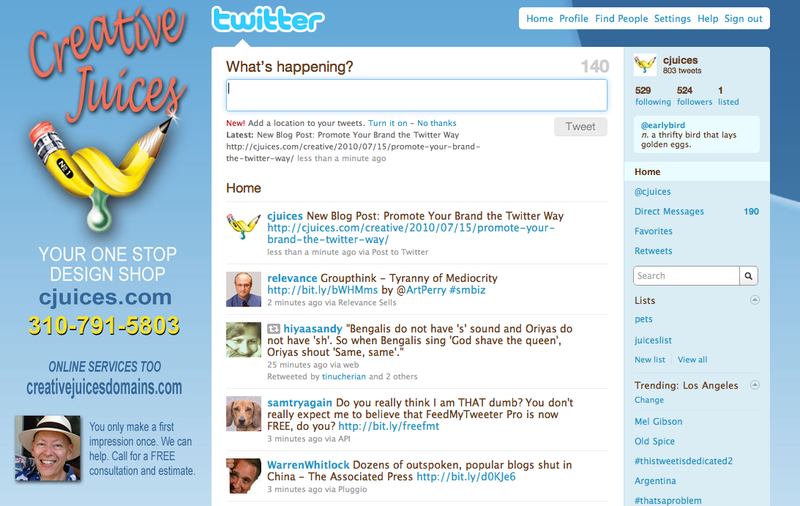 Unless, of course, you hire someone to utilize their creative juices and create an outstanding twitter backdrop for you.